The service at Tiara is impeccable, they really treat the customer as the queen and tend to their needs. Especially thanking Chef Shrinivas Adam and food and beverage executive Swapneel Jadhav for such lovely dishes and an amazing experience. Coming to the food:- BONGO:- it was sweet and sour mix which consisted of Coconut and orange with a strong flavour. Initially, it tastes sweet then comes the tangy zest because of the orange. Absolutely loved it VOODOO:- This drink also was a mix of sweet and sour but it had more of a sweet taste to it. This was a mix of Pineapple and passion fruit and the combination was awesome. VEG QUESADILLA:- This was so appealing to look at and the taste was just lovely. Consisted of mashed beans and potatoes with a lot of flavourful spices. It's light and definitely tasty. MURG AFGHANI TIKKA:- This tikka was the softest and the most tender tikkas I've ever had. My knife just sliced through it so easy and the flavour was amazing. The chef certainly did put a lot of effort and nailed this dish. ANDHRA FAT FISH FRY:- This fish was crispy on the outside , soft and tender with a slightly spicy zing to it on the inside. The fish was perfectly deboned and tasted lovely. CHICKEN CRISPY WITH NACHOS AND SALSA:- The salsa really complemented the taste of the chicken crispy. The chicken had the right amount of spices to it and tasted so good. CHILLY CHEESE WONTON:-The presentation of this was on point here, just loved it. Crispy on the outside and spicy and cheesy on the inside. Spicy food lovers must try this dish. MUTTON SEEKH KEBABS:- I had this dish in many places but no one managed to make them as flavourful as these guys did. Great job I didn't want to share this dish with anybody it was so good and delicious. The presentation was simple and on point. SALT AND PEPPER MUSHROOMS:- This dish was very light and yet very filling.They managed to elevate the flavours of Mushrooms and give a lot of depth to it. I just kept on eating this dish, it was that tasty!! 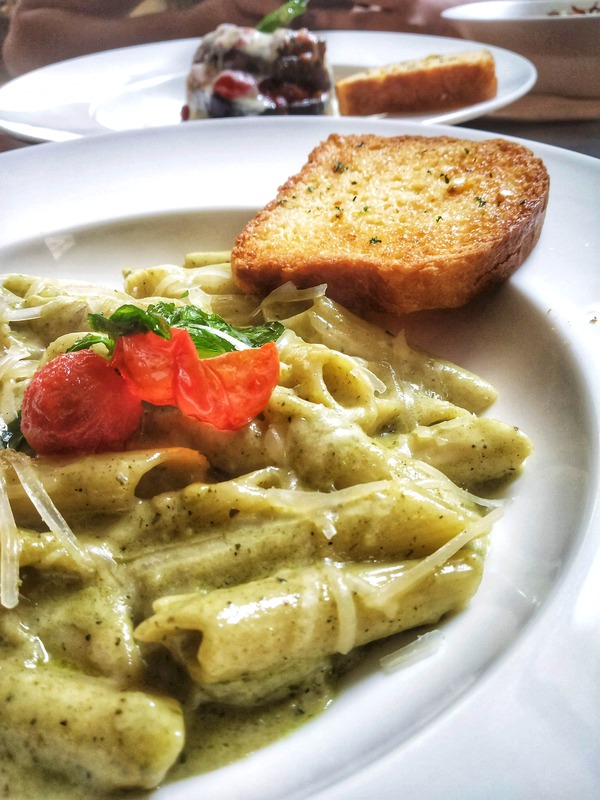 Now coming to the main course:- PENNE AL'A PESTO PASTA:- The best pesto sauce pasta I have ever had till date. Just loved the creamy, flavourful pasta there. Again a highly recommended dish. Usually, I find pasta very bland but this one certainly was so flavourful. MURG CHOOZA KHAAS MAKHNI:- This is the second best makhni dish I have had. Had this sweet and yet a tandoor smoky taste to it. Tasted lovely with their parathas, naans and roti. EGGPLANT PARMIGIANA:- I'm not really a fan of eggplant but this dish managed to change my view slightly. It consisted of stuffed eggplant with cheese and tomato with some spices in creamy cheese. Then from the main course, we went to have our dessert. NIZAM KI NAZAKHAT:- This was a fusion between rabri and Gulab jamun with a garnish of finely sliced almonds. This dish wasn't too sweet which I really liked about it and the gulab jamun was just wonderful.